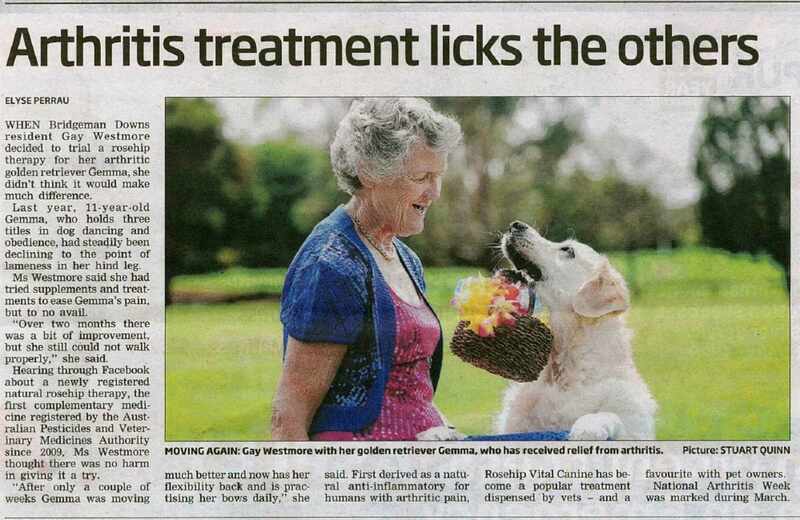 Arthritis treatment licks the others- Northside Chronicle (12 April 2013) Gemma the 11 year old NGolden Retriever and Obedience title holder has her flexibility back and is back to training after only using Rose-Hip Vital Canine for a few weeks. 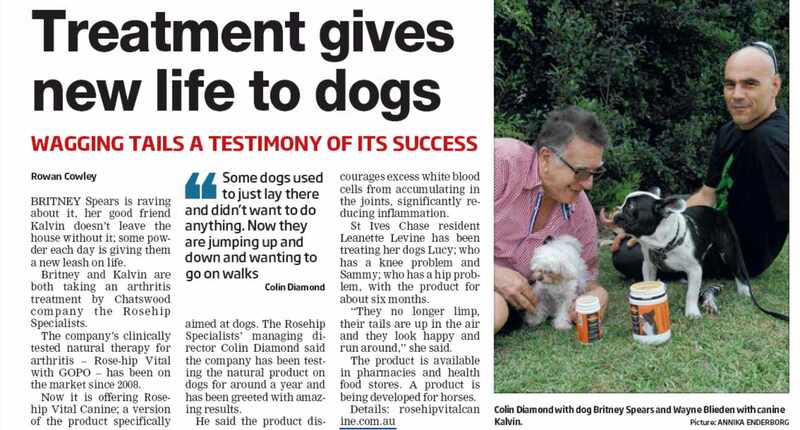 Treatment gives new life to Dogs- North Shore Times (4 April 2013) Britney Spears and her furry pal Kalvin have been given a new ‘leash’ on life thanks to Rose-Hip Vital Canine. 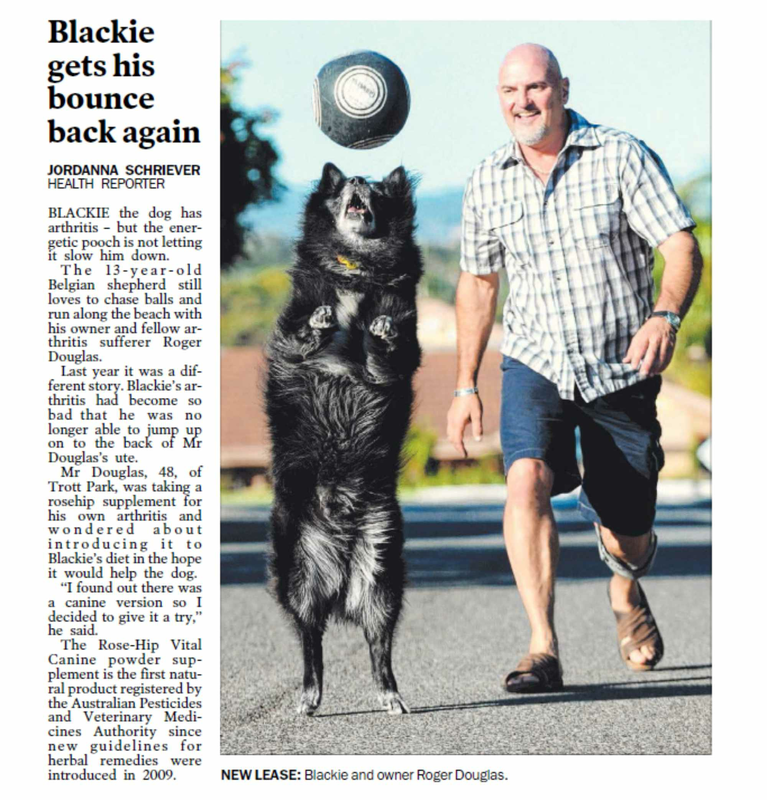 Blackie gets his bounce back again- Adelaide Advertiser (27 March 2013) 13 year old Blackie back to chasing balls and running along the beach with his owner, Roger. 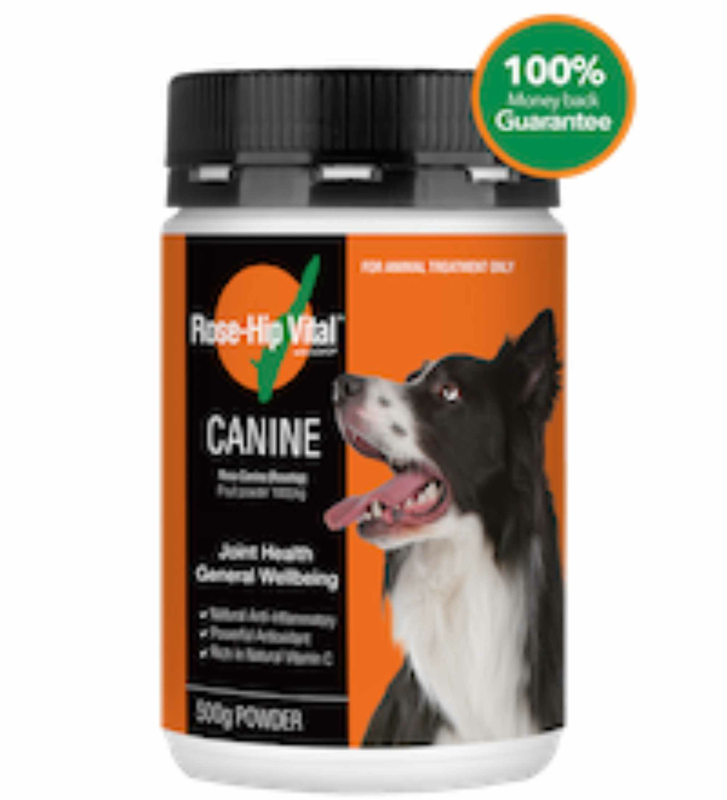 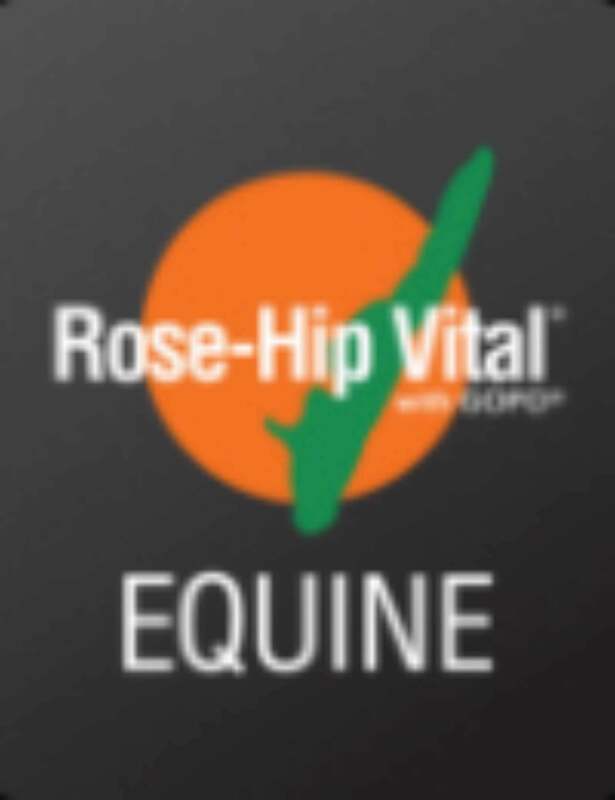 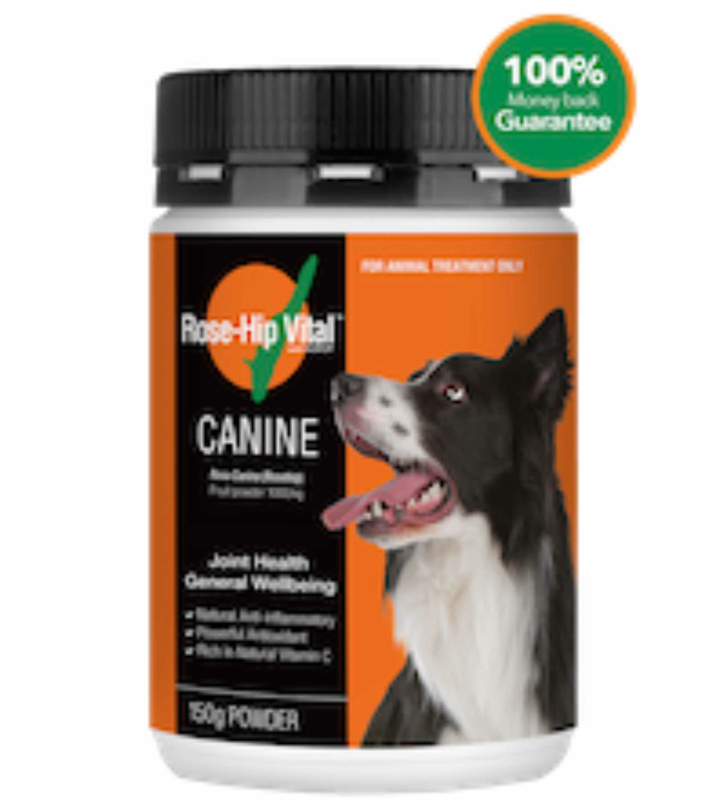 Both Roger and Blackie take Rose-Hip Vital to treat their arthritis. 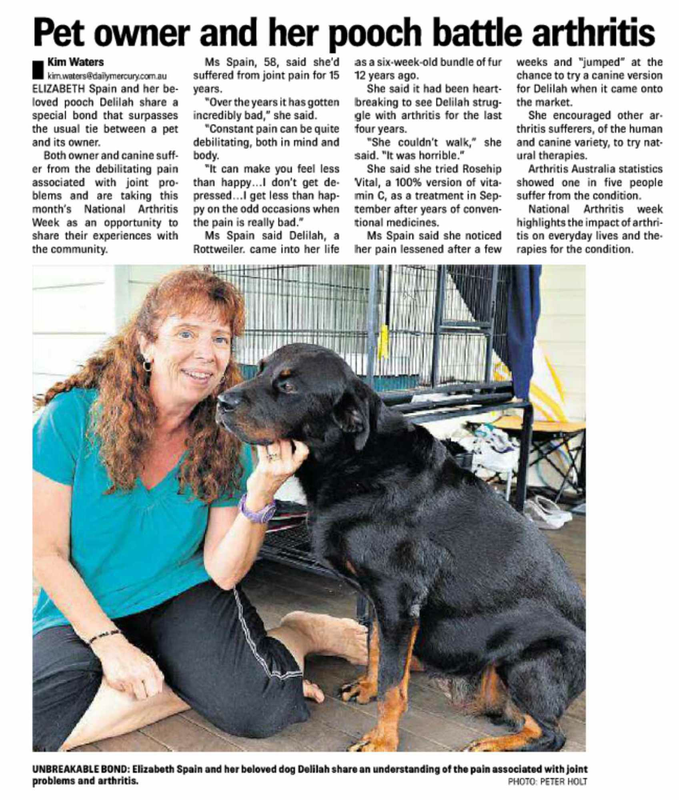 Pet Owner and her Pooch battle arthritis- Daily Mercury (21 March 2013) Ms Spain and her Rottweiler Delilah both use Rose-Hip Vital to treat their arthritis, and encourage other arthritis sufferers to give it a try too.